Enjoyed a rest day. 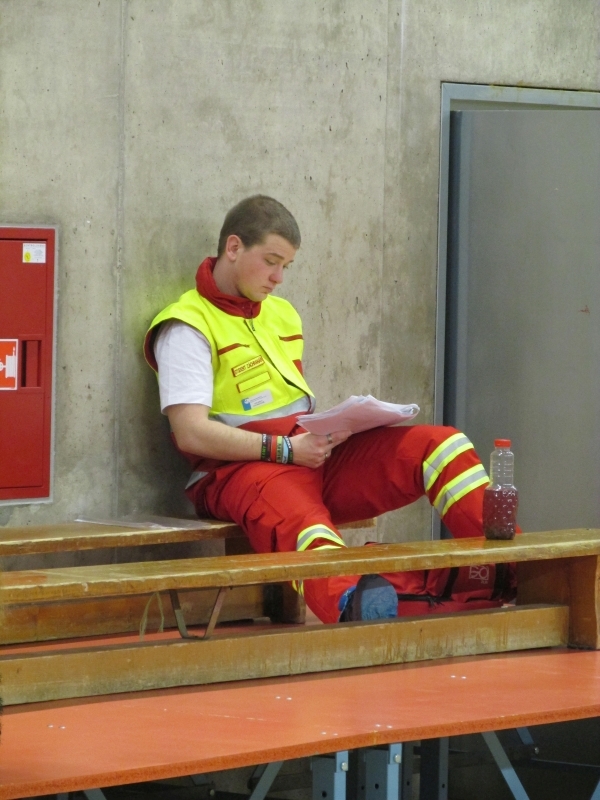 Tactical rest day before a hard threshold row. A 10k row on the schedule. A threshold row. Thinking of a PB, but I knew it would be hard. Rowing PBs is never easy, but on a working day, rowing it in the evening, after a meal, is hard. 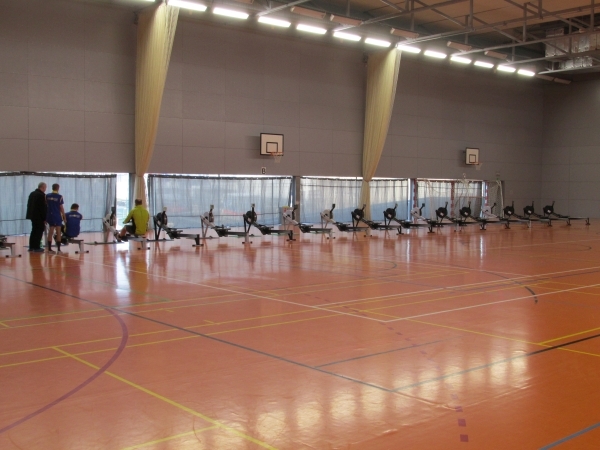 My 10k PB of the 2014/15 was rowed with people standing around. At 1:53.5 pace, in a time of 37:52.8. In a vacation, with nothing else on my mind. So I gave myself a second target. Good training effort would be to row this in 1:55 pace (or faster). 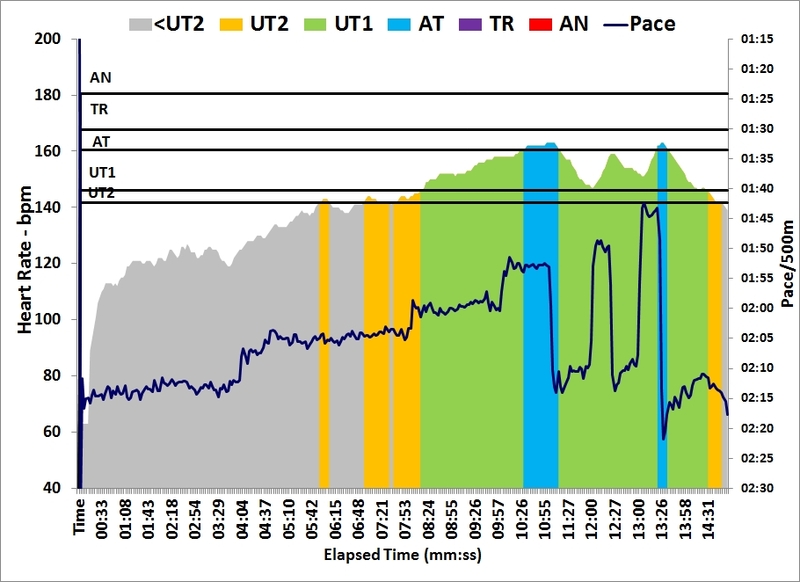 Warming up: A 2k with 10 stroke “pieces” in the second 1000m, at 1:57, 1:53 and 1:45 pace. Strange enough, the 1:45 felt more doable than the 1:53. 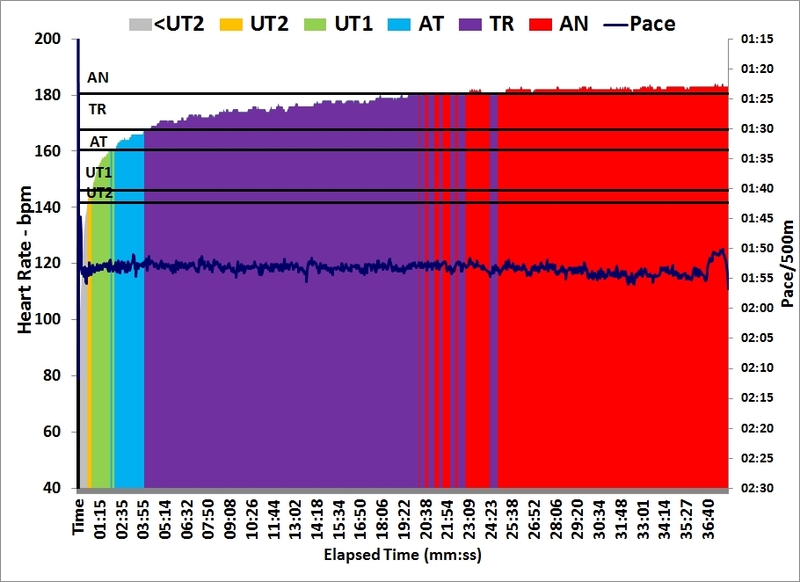 Strange intermediate pace … unknown territory. Fired up RowPro, after a long time, but I wanted to have a good pace boat. To be sure, I set up two pace boat, 1:53.5 and 1:55.0. That’s how uncertain I was. 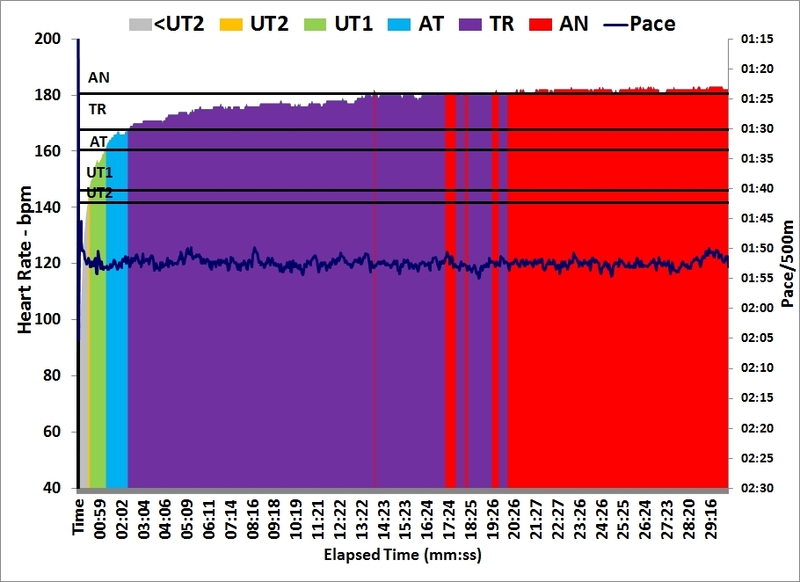 The plan was to divide the row in 4 pieces of 2.5km, and row them 1:53 / 1:54 / 1:54 / 1:53. First 2.5km went by easily. I struggled a bit to find a good rhythm, but once that was found, I just watched my pace boat fall behind, by about 2 meters per 500m. 4000m rowed. 6000m on the display. This was a first desperate moment. I had been going for some time, but still a full 6k in front of me. The pain started with 3km to go. 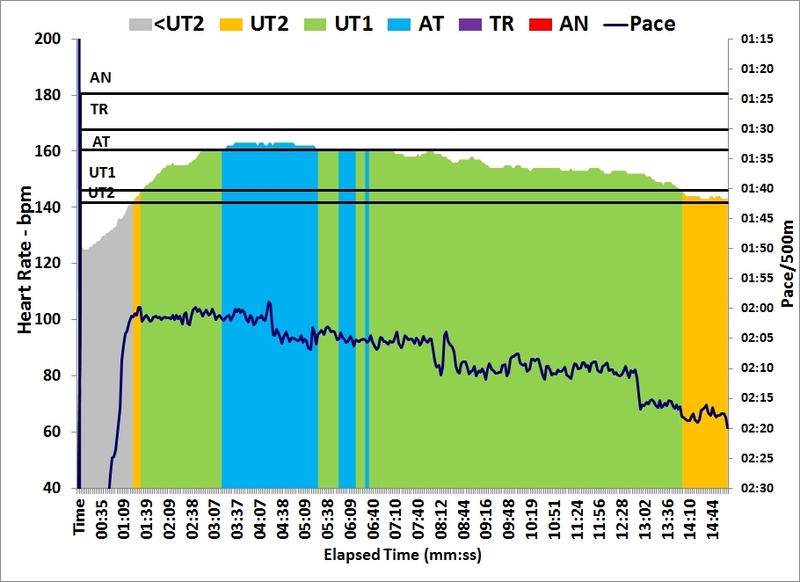 I did a quick calculation, and with 2500m to go I knew that I could hold 1:55 and end up finishing before my pace boat. Between 2000m and 1000m I was really struggling and slowed down a bit. Now I was looking at a predicted end time of 37:47, and counting strokes. Planning wise I had a little set back. My boss called me to tell me that he has to go to the Middle East next week, and wants me to be at a meeting in Brno instead of him. That’s normally fine as I am based in Brno, but I planned to be in Račice next week with Romana and the girls, on the canal, and work from our Prague office (or from the canal). Well, I’ll drive back to Brno on Wednesday afternoon, and return to Prague on Thursday afternoon. I will miss just two workouts. Just 5 to 6 hours of driving … or 8 hours by train. 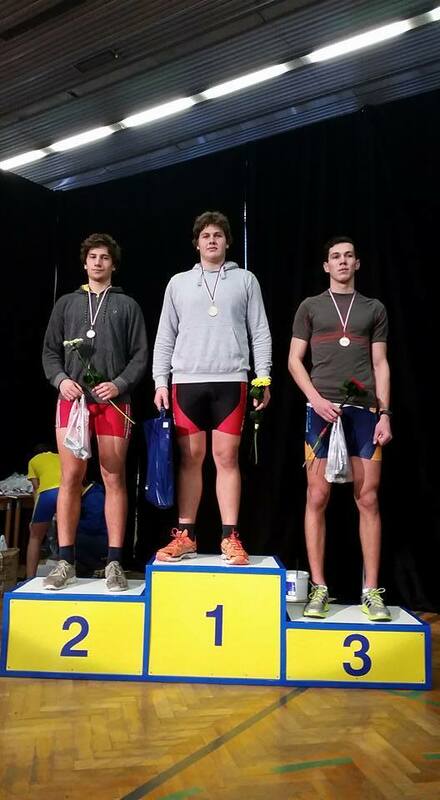 This weekend, Romana’s brother, my brother-in-law Tomas, organized the 3rd round of the Czech Indoor Rowing Cup. The race was ready to be started. First races were the adaptive categories. They were also the test case. 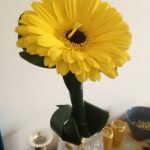 There were some delays because the printer didn’t work, and the jury was a bit slow in figuring out the winners in the various adaptive categories, but in the end all was well and winners could be decorated. 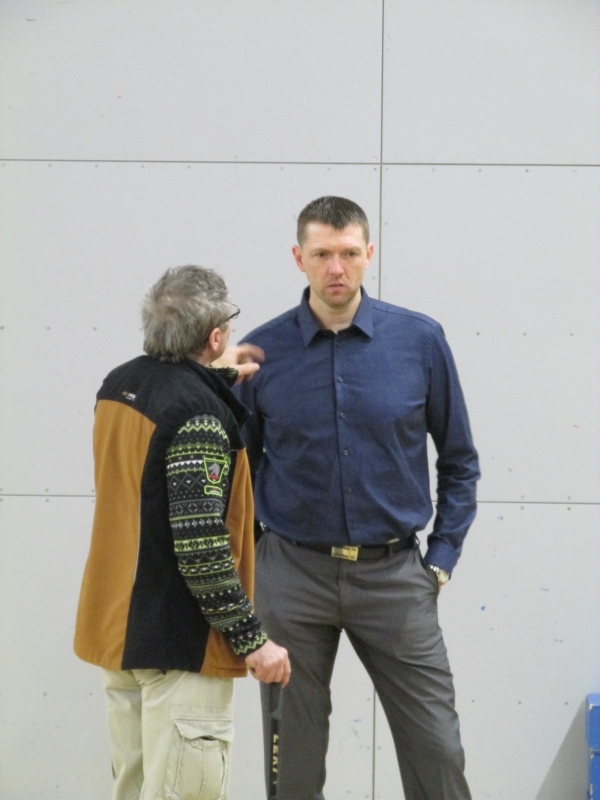 The sports center was much newer and nicer than in Neratovice, and the changing rooms and toilets were perfect. On the downside, the air was much much dryer. Some rowers are sensitive to this, and not everyone was able to show his or her best performance. Then it was time for the girls 15/16 to row. 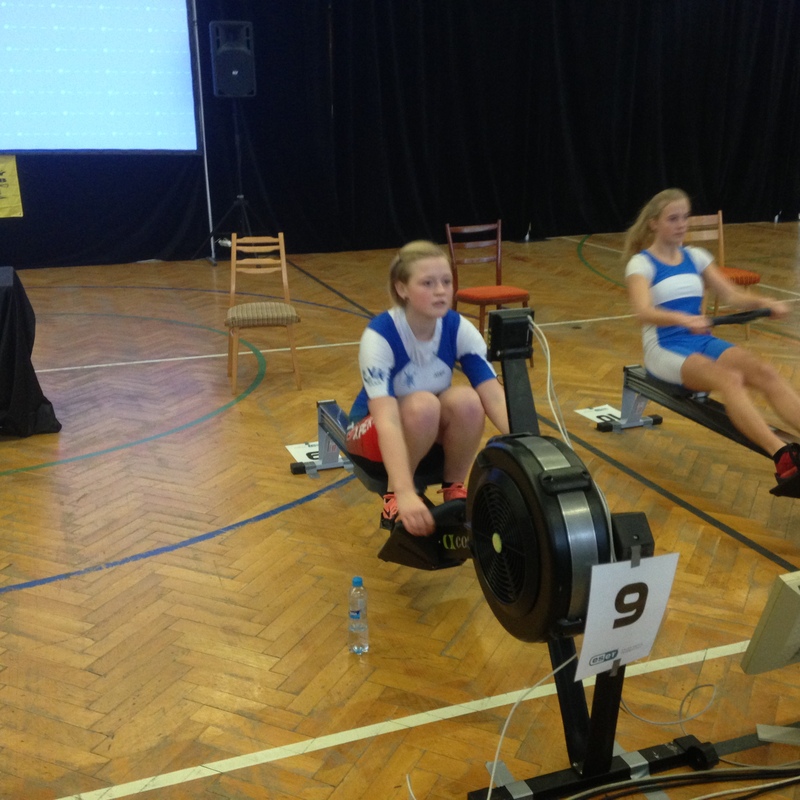 Lenka rowed 5 seconds slower than her PB, and Iva 10 seconds. Lenka has been ill so I consider it a good row. Iva was super nervous and still wants to row below 8 minutes, but the nervousness actually makes her slower. 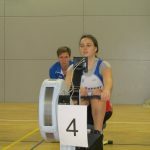 Klara, rowing in the 17/18 age group, was rowing her very first erg race. 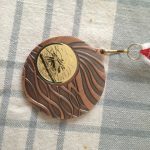 She started rowing in September and managed a good 8:26. Then it was time for me to change clothes and get ready for my race. I did a 6k Fletcher-style warming up. Then it was time for the main event. 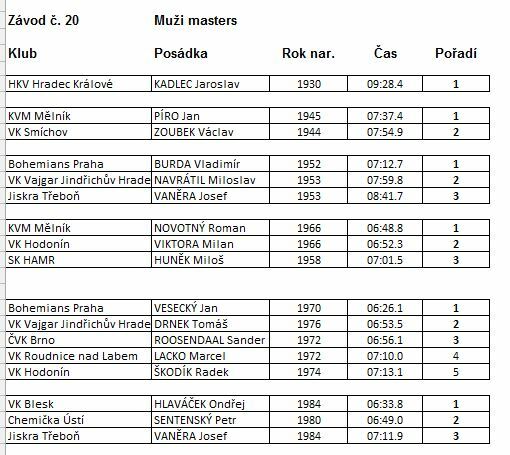 Big focus on Jiri Pfeiffer, from my rowing club, who wanted to beat the Czech record for the 50-59 year age category. I wanted to be faster than in Neratovice but didn’t know if I had it in me. Also quite nervous about the higher temperatures and dry air. Went out with ten hard strokes and saw 1:39 when I opened my eyes. Immediately back to 1:44-1:45 pace which I had no trouble holding in the first 500m. Saw the occasional 1:46, but mostly solid 1:44 and 1:45. Second 500m was no different. I even mixed in a few 1:43s. With 1000m to go I did ten hard strokes, which turned out to be 1:42-1:43, but then I got into trouble. I saw more and more 1:46 and Romana behind me had to cheer quite a lot to get me back to 1:44-1:45 pace. With 600m to go I had to count strokes. Then with 500m to go I started counting again. With 250m to go I finally got over the hard bit and started to wind it in. My average pace at that point had dropped from 1:44.0 to 1:44.2. Rating up and even pulling 1:41 and 1:40 strokes, I managed to get it down to 1:40.0 with 5 strokes to go. I pulled as hard as I can and prayed I could see the average pace drop even more, and in the 2 final strokes I saw 1:43.9 average pace. Pretty good race. I beat only 2 guys in my heat of 9, but who cares. Another PB! Traveling the 250km from Brno to Neratovice was slightly adventurous for me, the driver. 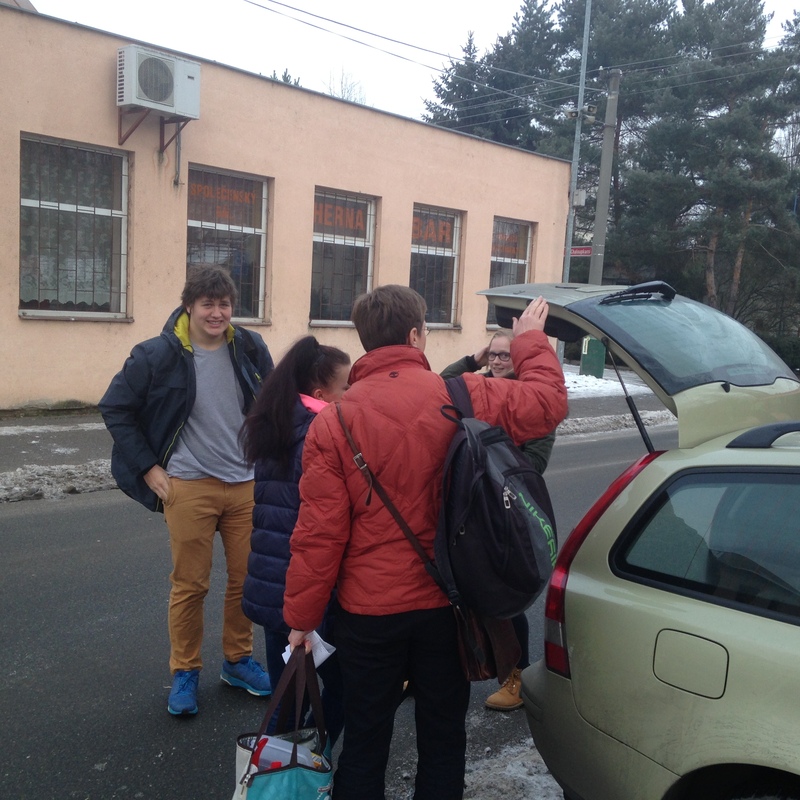 We picked up Albert & Iva at 6AM. The back of the car fell asleep or were listening to their iphones and didn’t notice that it was either raining, or thick fog, and the outside temperature was -2 in Brno and -6 in the highlands. Not good. So safety first and I reduced the speed to 80-90km/h for the first 100km. Then the sun came up and it got dryer, so we could drive a little faster. We arrived at the venue just one hour before the start of the girls race. So no time lost. Starting fee paid and preparing for the race. As Romana had two girls in one race, I took care of our daughter Lenka. 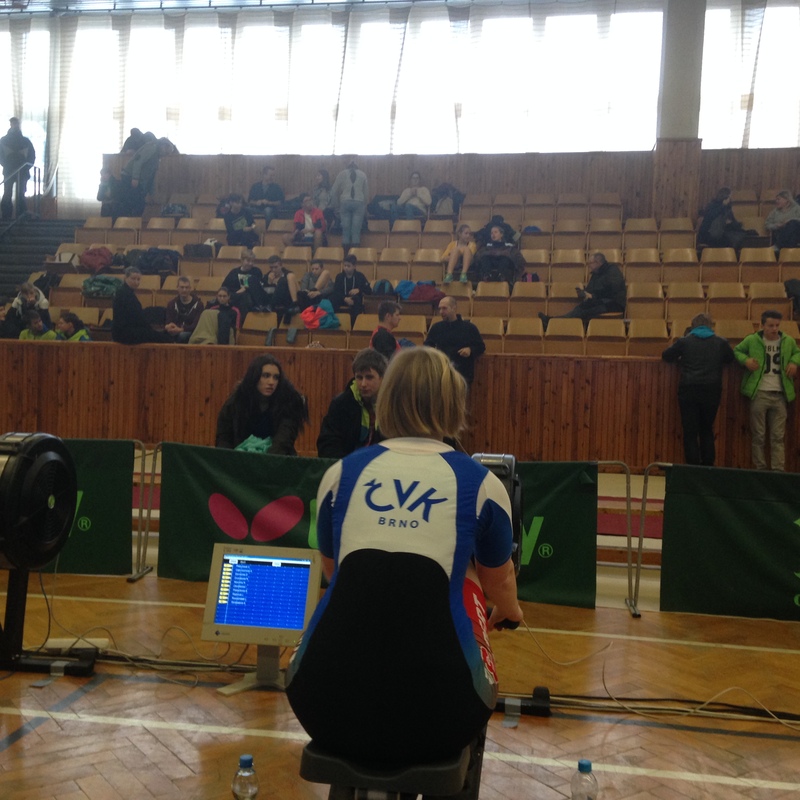 Here she is warming up, already on the race erg. I took my place on the coach chair behind Lenka and we got ready for the race. 10AM. Lenka a minute before the start. 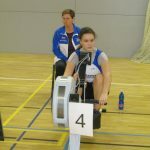 Lenka’s personal best is a 2:08 pace, so the plan was to row 2:07. She set off at a blistering 1:51 pace, and I spent the first full minute trying to slow her down. I think she rowed at least 45 seconds at a pace below 2:00. Finally, after about 200m, I got her at 2:06 rating 27. Then we focused on the rate. Incidentally the rate would drop to 26 and the pace to 2:08-2:11. I focused on getting her at 27spm and higher. Of course she wasn’t leading but there were enough girls rowing around her pace so make it an interesting race. She finished in a PB of 8:30.0 and we were all very happy. She improved her PB by 5 seconds and finished 29th out of 37, with a lot of girls around 8:30. 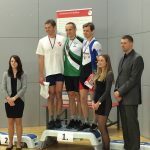 On erg #4, Iva PB’ed by 2 seconds in 8:10.2 and was 22nd. She was disappointed because she wants to be faster than 8:00. Next time. 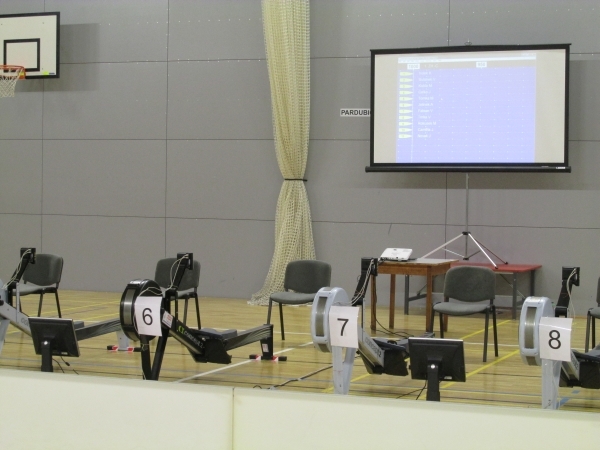 The race was won by a 14 year old who rowed a very impressive 7:14.1 which was 15 seconds faster than the number 2. About 15 girls rowed under 8 minutes. So that was the morning session. My race was the very last race of the day, at 4pm, so I had time enough to cheer for my club mates. He won in 6:17.2 which is just 0.2 seconds above his PB. 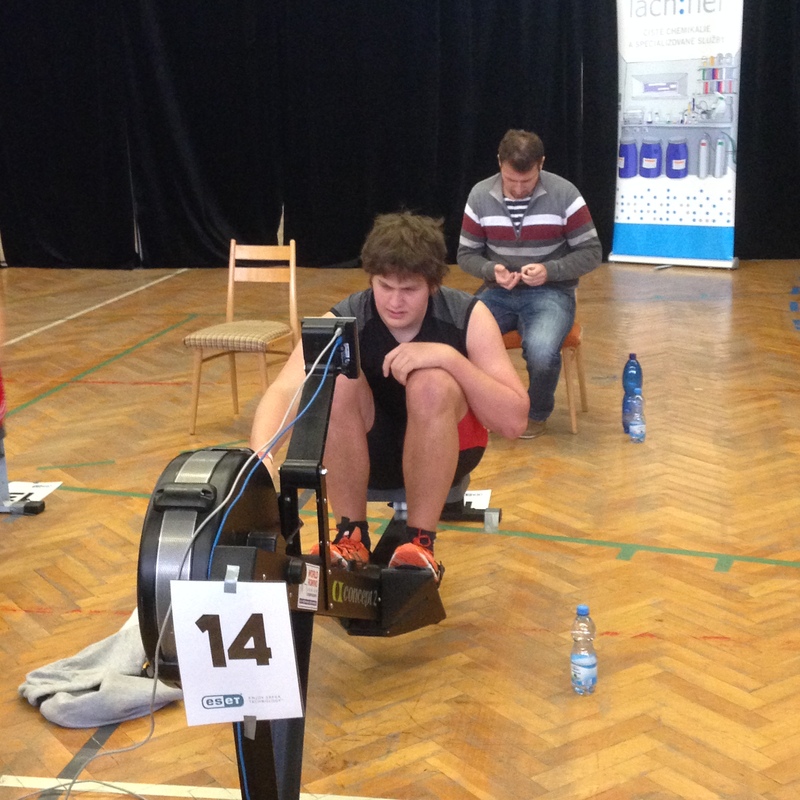 Our LightWeight guy who went out slightly too fast and was struggling with 1000m to go. My last erg race must have been in the winter of 1990. 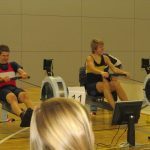 After that I have just used the erg as a training tool and never participated in the races. So I was glad I had the entire day to watch the racing and understand what I needed to do in terms of race prep. While the men’s open were rowing I disappeared to change to racing gear and went to the warming up area. I did a 5k Fletcher style warming up on an old Model C with PM2 screen. During the warming up I saw the men’s open fastest heat on the screen. 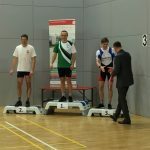 The 6 fastest men were below 6min. 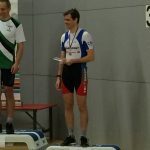 Our club’s fastest guy was 11th in a PB of 6:08.5. 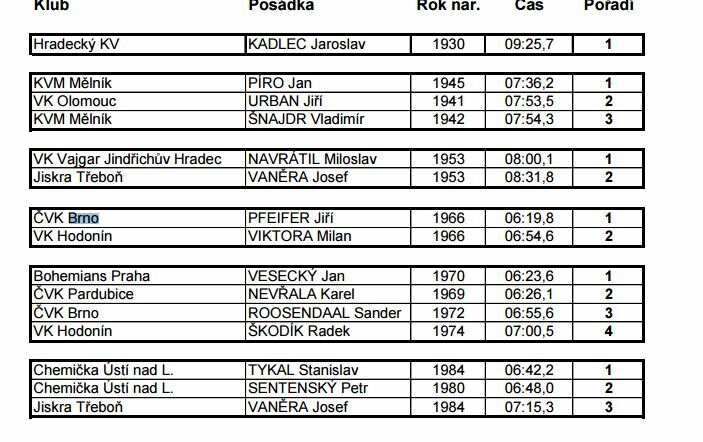 I stopped the warming up when the first heat of Masters (the older guys) were at the 1000m mark, walked over to the race area and cheered for my friends, and especially for Jaroslav Kadlec (1930) who rowed a 9:28.4. Then it was time for me to get to my erg #5. Lenka and Albert took the “coach” seat behind me. It was fun to have them there. I didn’t forget to adjust the foot stretcher height and check the drag factor. Ten strong strokes. By the tenth stroke I was pulling 1:40 and the average pace was just below 1:43. One loses quite a bit with these race starts, it seems. I pulled a few 1:43s and then settled for 1:44 – 1:45, about 29spm. All this is from memory, as we weren’t allowed to put in log cards. I cruised through the 1500m mark with an average pace of 1:43.8 and was doing fine. At the 1200m to go mark I was thinking about negative splitting. 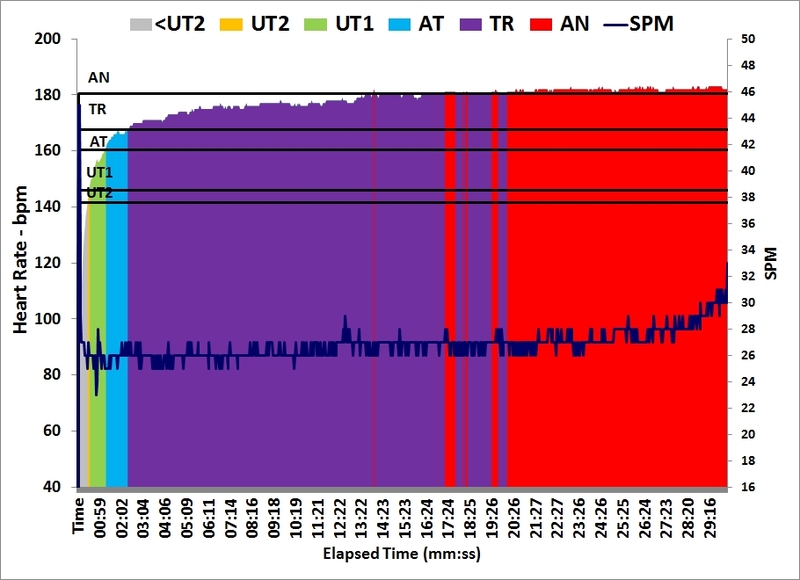 My original plan was classical: 500m at target -1, 2x500m at target + 1, 500m at target – 1. For a few strokes I considered dropping to 1:44, then dropping more at 600 to go, 300 to go, etc. 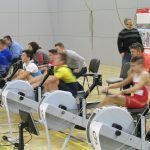 I was rowing 4 meter behind Milan Viktora and could pull myself towards him. In the end I decided to stick with the original plan. The guy on the erg to my right was pulling 1:37 pace. A quick glance on the computer monitor told me I was somewhere in the middle of the pack. My coaches were silent. Their first words of encouragement came when I passed the 1000m mark. I did ten strokes at 1:43 pace there, then settled back to 1:45. 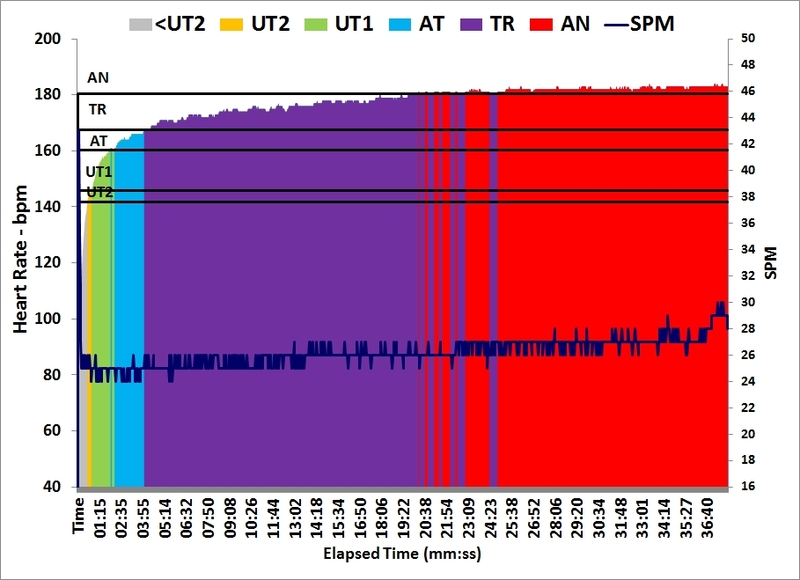 I saw the occasional 1:46 and compensated with the occasional 1:45. The difficult third 500m. I really didn’t want to speed up here. 600m to go. It crossed my mind that it was now just above 2 minutes to the finish line and I took up the pace a little. Average pace was around 1:44.3 now. 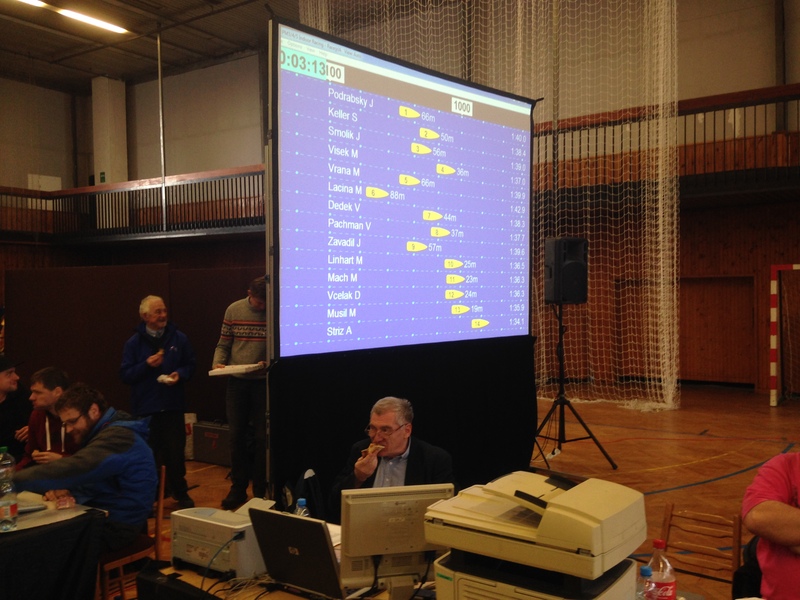 With 500m to go the noise level in the hall increased noticeably. 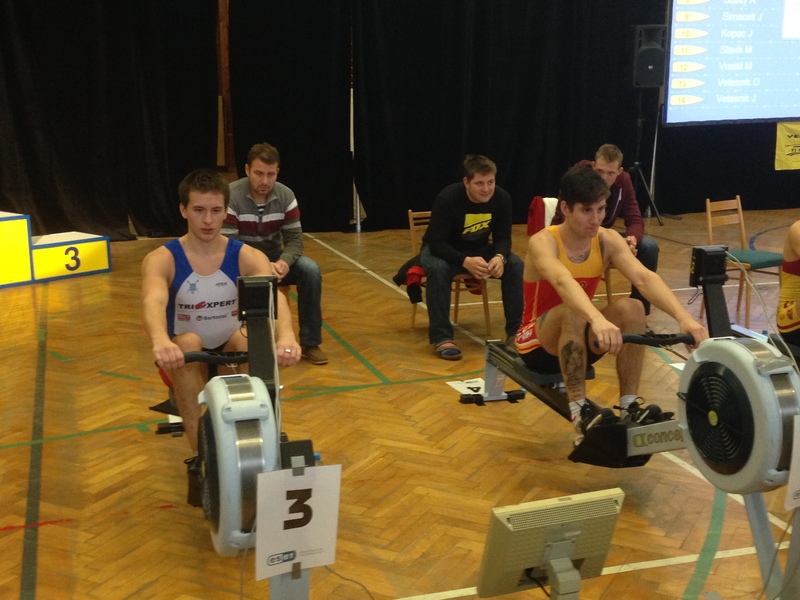 Now Albert and Lenka were cheering me on every stroke and also the fans in front of the ergs were cheering. This was good. It really enabled me to hold on to 1:43s and with 250m to go I tried to speed up even more. The legs didn’t really cooperate so I don’t think I pulled much faster, but at least I didn’t let the pace slip away. I saw the average pace dropping to 1:44.2. I didn’t realize what that meant until I looked at the computer monitor and saw my end time of 6:56.1. I made a victorious fist pump and then continued to slide back and forth idle, gasping for breath. After that, I wanted to row a cooling down, but the warming up ergs had been removed during my row, and the organization was now starting to move the race ergs. Also, Albert was a bit in a hurry because of a party in Brno that he wanted to attend. So we hit the road richer in 3 PBs, one bronze and one gold medal. We only stopped at a gas station to buy some water and a bottle of cooled Bohemia Sekt (bubble wine). 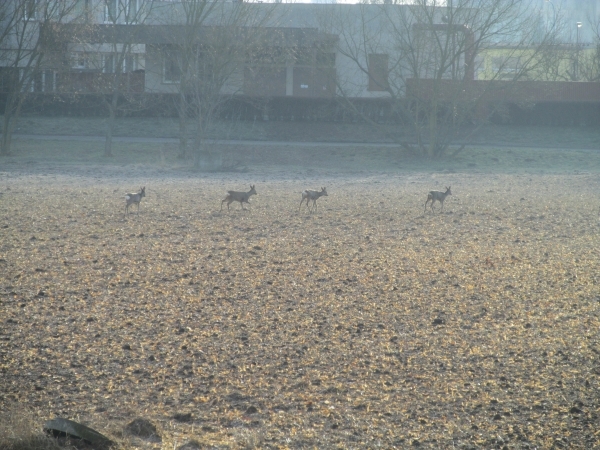 The last 30km were again in thick mist but the temperatures were just above the freezing point and the road was fine. After the “champagne” I fell asleep in front of the TV. Very happy with the PB of course! 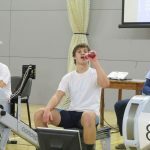 I have been rowing around 6:58 for the past 5 years. I have improved over all the larger distances, but I didn’t get the 2k below 6:58. I believe the race environment helped me over this bump. Oh, and I got chicked. A junior girl (1998/1999) rowed a 6:52.1. I saw her row it. It was very impressive.